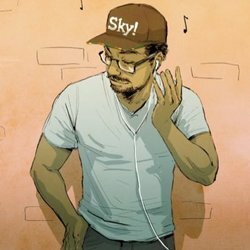 Sky Williams is a comedic entertainer and gamer on Twitch and YouTube, most known for his videos and commentary on League of Legends. He also streams, plays, and blogs about other games like the Super Smash Bros. series, games that he loves, and other things going on around him. In addition to video blogging, Mr. Williams uses his comedic talents to do stand-up comedy and was a finalist in Flappers' Uncle Clyde's Comedy Contest.